A perfect place to expand your mind and satisfy your soul. 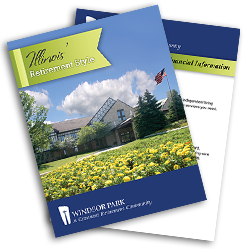 Come see how our retirement community in Carol Stream, IL, is anything but retiring. 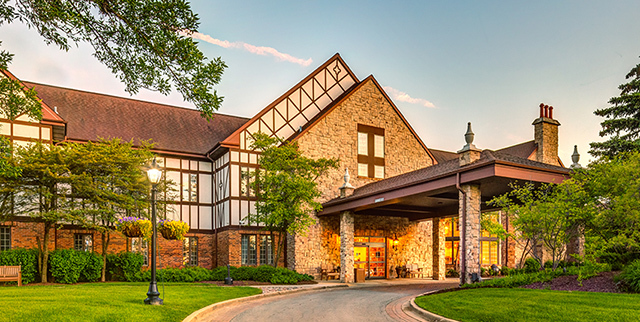 The first thing you’ll notice about our retirement community is how it looks very much like a country club—60 beautifully manicured acres filled with trees, flowers, and five fish-stocked lakes. Get to know us and you’ll be pleasantly surprised to discover the down-to-earth people—and down-to-earth value—of our luxurious, all-inclusive retirement lifestyle. Windsor Park is your perfect place in our perfectly placed community, in Carol Stream, IL, near Wheaton and just a short ride from Chicago. Our peaceful, self-contained campus is filled with conveniences—and surrounded by them, too, with nearby shopping, entertainment, and outdoor activities adding to your daily choices. Choose your very own stunning and completely maintenance-free one-bedroom, two-bedroom, studio, or duplex home all with your very own outdoor space. Windsor Park offers the senior living advantages and value you won’t find elsewhere, with the confidence knowing you have access to health care for life. What else can you find only at Windsor Park? Our active and educated residents, who still thirst for knowledge, learning opportunities, and stimulating discussions. They are retired professionals who value keeping a sharp mind, a humble soul, and a spiritual connection. 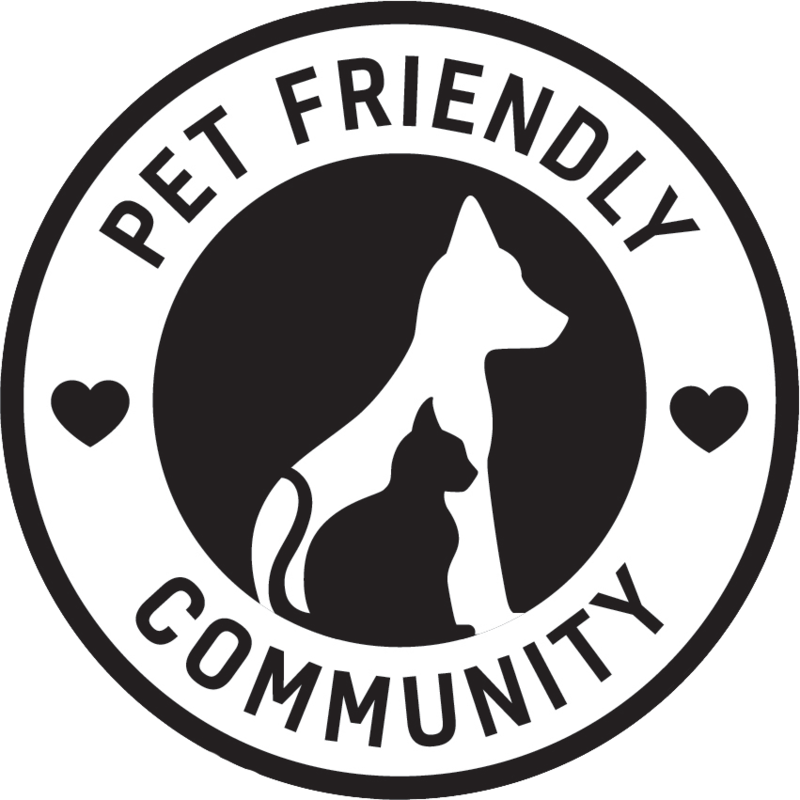 We invite you to schedule a visit and picture yourself here as part of our perfect retirement community! 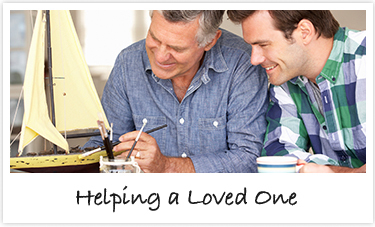 To learn more about our services, please click here to contact us online or call us at (877) 875-9134. View our one-bedroom, two-bedroom, single-floor duplex and studio homes in a variety of inviting floor plans. In 1971 she started the Organic Garden Club in Carol Stream, and over the years it has expanded to become the DuPage Organic Garden Club. She has brought in experts from outside the community to educate and inspire residents. She has been so committed to the beautification of Carol Stream through the Park District and Garden Club that they named a park after her, where she still plants, weeds and educates others. You are truly an asset, Bunny. What a well deserved honor for Bunny. You have been such a positive part in the mentoring program with highschool students and Alpha. You are a wonderful addition to Windsor Park. So proud of you Bunny! Way to go, Bunny! So grateful for you!